Categories: Jewellery, Products on Sale. 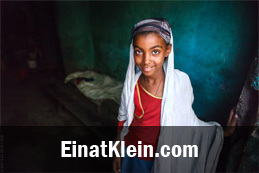 Tags: Ethiopia, Ethiopian Rhythm, jewellery. 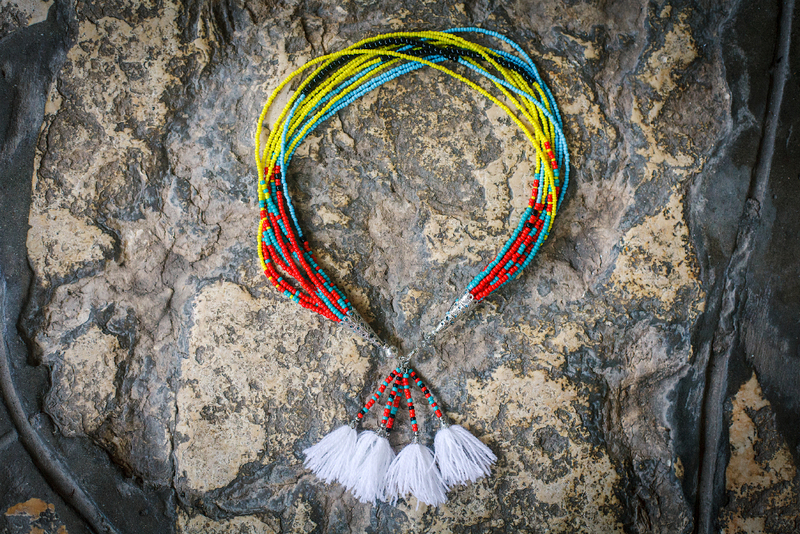 Multi-row necklace made of colorful Kenyan beads reminds one of Danakil, a place filled with color, heat and the people of the Afar tribe. 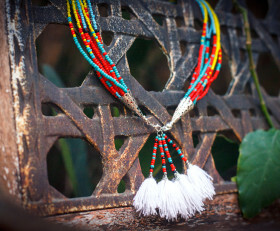 This necklace will look great with a deep neckline and a sporty t-shirt. 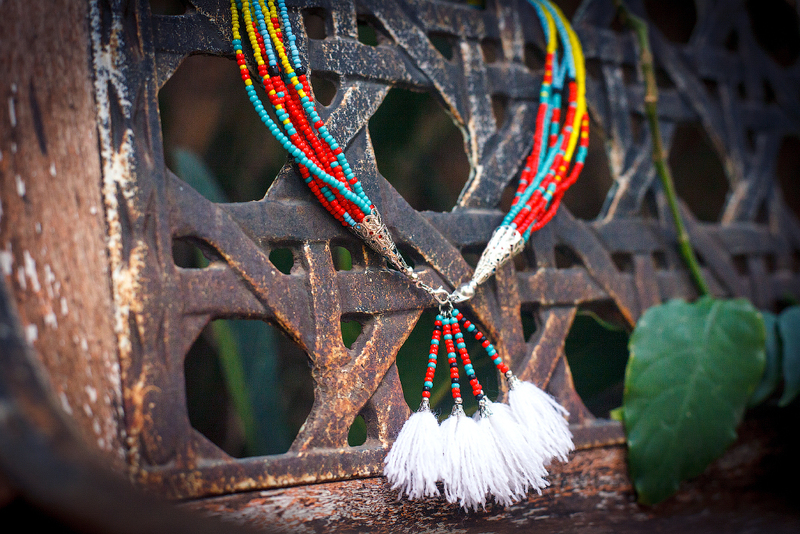 Five long tassels crown the necklace clasp. 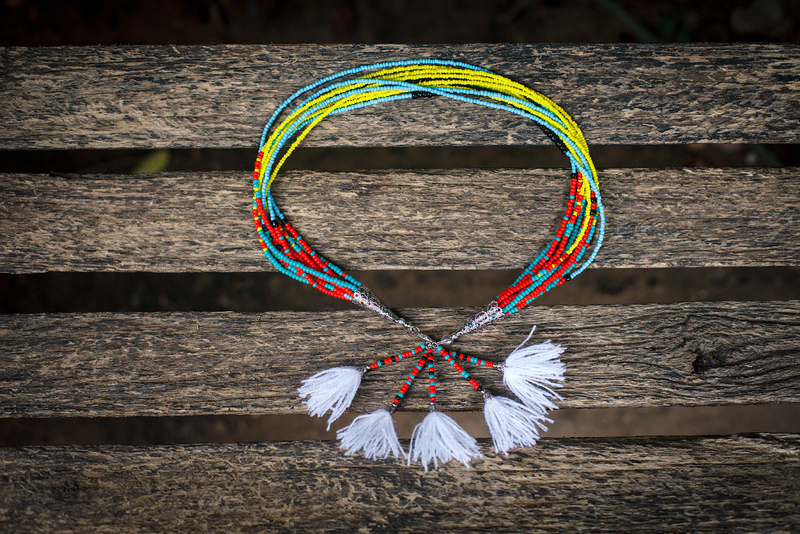 You can wear it as shown in the pictures – with the tassels in front, or turn it over placing the clasp and the tassels on the back of the neck. 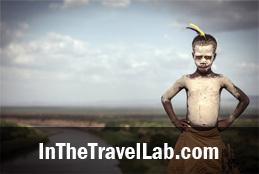 The Danakil desert is located in the northern part of Ethiopia, near the border with Eritrea and Somalia. This is the hottest and the lowest place in the world, but above all else, the most colorful one. Tons of salt covering the surface are mixed with the various minerals to form a truly unforgettable place. The black, yellow, red, blue, green, turquoise make Danakil not only the hottest place on earth, but also the most bright and vivid one. 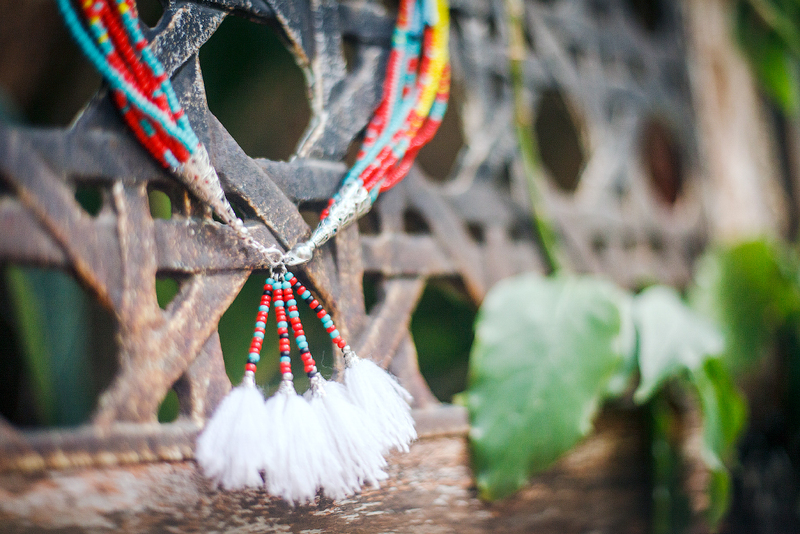 For more details on how the ‘Rhythm of Ethiopia’ Collection was created, click here. 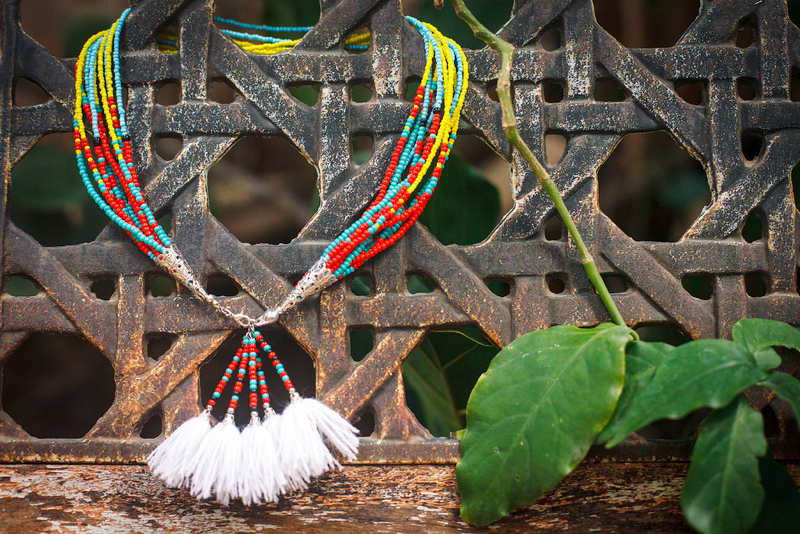 Materials: metal thread, metal clasp, Kenyan beads. Colors: yellow, blue, red, black, turquoise. Please note: each item is custom-made with the dimensions of each customer. When ordering, please indicate in centimeters: neck circumference for the beads, the circumference of the wrist for a regular bracelet , and the shoulder girth for a shoulder bracelet. This would make a piece fit you perfectly and give each product a personal touch.